Easter Brunch is served 11am-5pm. Easter Dinner is served 5pm-9pm. Bar Mezzana accepts reservations 28 days in advance. For parties larger than 7 guests, limited reservations are available. If you do not see what you are looking for online, please call to inquire. The bar area welcomes walk-in guests and, during patio season, we will try to honor reservations with patio requests but cannot guarantee outdoor seating. Parties of 7 or more require a credit card to hold the reservation. We ask for 24 hours notice for cancelations. Reservations that do not honor their reservation will be charged $25 per guest. Valet service is offered daily, beginning at 5:00pm. Please note that there is metered parking along Harrison Avenue and public parking beneath the overpass on Albany Street. Please do not park in the Whole Foods lot as that lot is monitored and vehicles will be towed. There are a limited number of parking spaced adjacent to the Sepia condo building where Bar Mezzana is located. Those spots are strictly monitored. Violators will be towed. These spots are in now way affiliated with the restaurant. Park at your own risk and please adhere to posted parking limits. Sunday 11am-3pm Bar Mezzana offers discounted two-hour validated parking for the lot at the corner of Albany Street & Traveler Street, INK UNDERGROUND (Laz Lot #5). The lot is located beneath Interstate 93. Please bring your parking ticket to the host stand for a validation sticker. The discounted rate is $5 for two hours with each additional hour $2.50. PLEASE NOTE: If the attendant/auto-attendant does not issue a ticket, you are in the wrong lot. We do not validate for the lot requiring a credit card upfront. We have long struggled with the historic gap in wages between our Front of House/FoH staff (servers, bussers, bartenders) and our Back of House/BoH staff (line cooks, prep cooks, dishwashers) and are therefore applying a 3% Kitchen Administration Fee starting on December 11, 2016, which will directly benefit our BoH staff. Since the bulk of a FoH staff’s wages come from tips that are calculated as a % of revenue, their wages have increased as inflation and subsequently prices in restaurants have increased. This unfortunately isn’t the case for BoH employees, since by law, they are not allowed to share in gratuity, tips, or service charges that go to the FoH. Instead, their wages have only increased when more can be carved out of a restaurant’s bottom line margin. With the accelerated cost of doing business in the City of Boston - including such changes as increased minimum wages, mandatory health insurance, mandatory paid sick time, and inflation in a high-growth urban environment – these BoH wage increases have become increasingly more difficult to implement. In fact, BoH wage growth has now fallen behind FoH wage growth to the point in our industry that FoH employees are typically paid on average 2.5 times more than BoH employees. 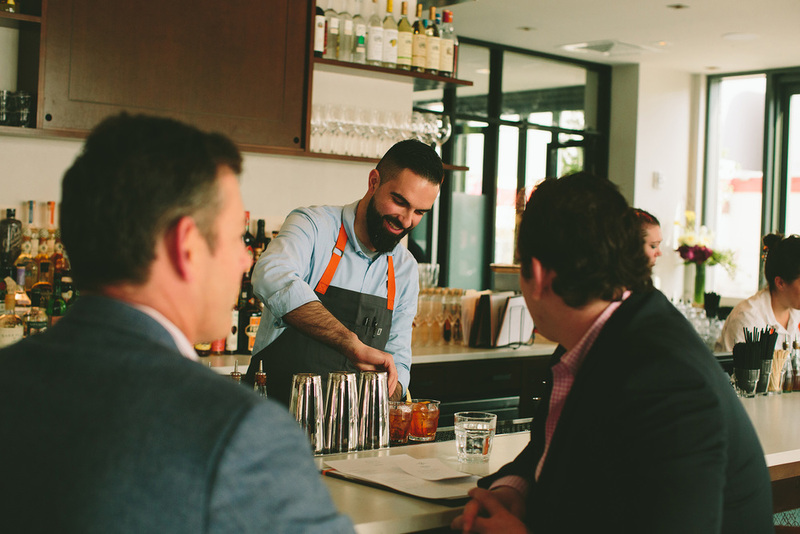 We don’t think that’s right – it takes our entire team of FoH and BoH employees at Bar Mezzana to deliver service every day. So Why Don’t You Simply Raise Your Prices? Prior to opening June 1st, 2016, we considered multiple ways for dealing with this issue, ranging from automatically calculating gratuity to instituting no-tipping that includes gratuity as part of our prices to simply raising prices. We opted to stay to a more traditional economic model when we finally opened Bar Mezzana to better understand what the economic realities of our new restaurant would be. Six months later, it’s become apparent to us that what’s needed is to create a direct connection to our top-line revenue for our BoH employees in the form of a Kitchen Administration Fee. So, while the overall cost of dining at Bar Mezzana is indeed increasing by 3%, we’re now finally making this connection by having this Administration Fee go explicitly to our BoH employees. We are extremely grateful for your patronage and welcome any questions you may have about this change we’re instituting. Who doesn't love the gift of a delicious meal? Pick up a gift card for the foodie in your life.